A special pillowcase to call your own makes for the sweetest of dreams and adds a personalised touch to any child’s bed. Our pick of the linen bunch are from our very own Sunday Morning Designs, perfect for that Sunday morning lie in (if you’re lucky!). 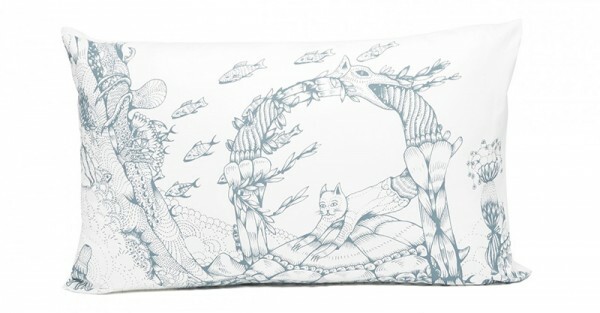 Perfectly whimsy in their single colour, toile like fashion, Sunday Morning Designs pillowcases are made from the softest of baby combed cotton jersey, superb for resting a sweet sleepy head. 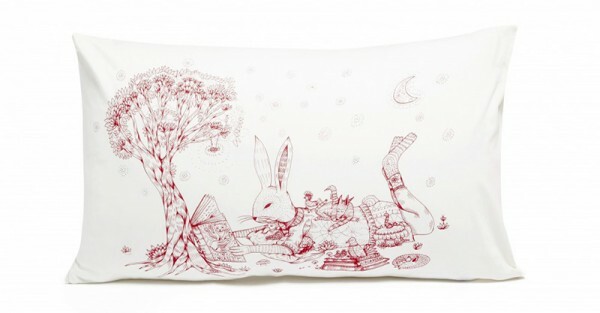 I’d love to see the Turtle and the beautiful bunny Rabbit (both priced $40 each) designs on my children’s beds, but I think you’d agree all of Dylan Martorell’s detailed illustrations are equally divine in telling a story and delightfully quaint. Designs are available in grey, blue and red on white for a true vintage inspired vibe. To see the pillowcase collection in its gorgeous entirety and to order, head on over to Sunday Morning Designs.